Stop working with a dirty keyboard – use the simplest staff from your office desk to make it clean and get rid of the trash inside within 3 minutes. Wonder if it is possible? Check out the short video to find out the ridiculously easy way to clean your Qwerty. Have you ever thought about how dirty your keyboard is? It is even filthier than your toilet seat! 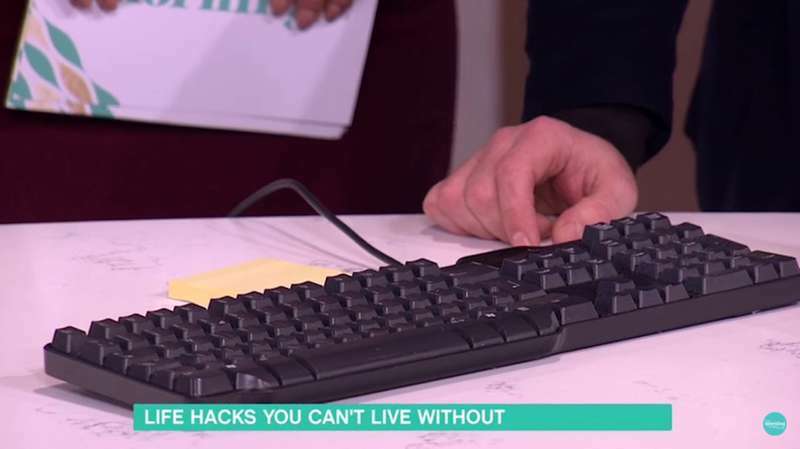 In the recent research, British microbiologist James Francis took a few swaps from the averagely used keyboards, toilet seats, and toilet handles to analyze the presence of the germs. Even though it may sound crazy, the scientist found that four tested means of typing contained hazardous microorganisms. It turned out, one of them had five times more germs than a toilet seat. For sure, the results are disturbing. That is why you should know the easiest way to protect yourself from any possible contamination. Look at your working desk. What do you see? Perhaps, you will never guess what we are about to use for making our keyboard great again. 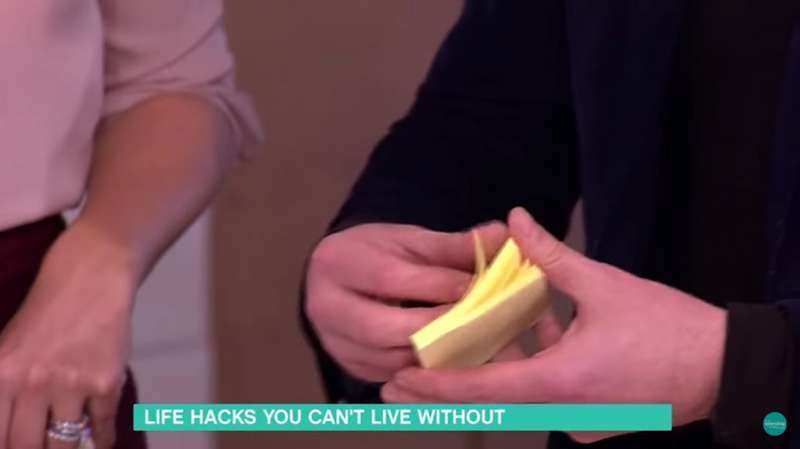 So, that is all about sticky notes that are used upside down to catch the garbage that might have fallen between the keys. Simply put a piece of paper inside the gap and give it a good rub around. The small pieces of garbage will stick to the gluey part of the note in just a few moments. Continue this process until you are happy with the result. Of course, the conventional keyboard may be not so popular nowadays. You may ask, how is it possible to clean the laptop keys? The answer is a bit more difficult but still executable. The same sticky part should be rubbed around each button separately. Isn’t that easy? 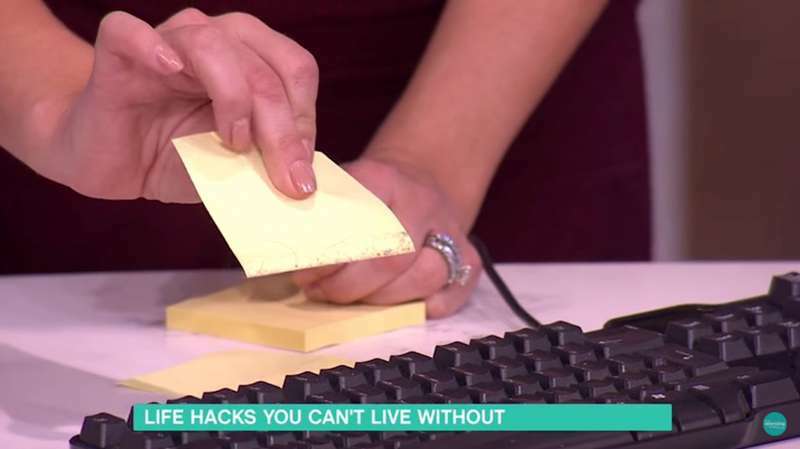 Do you know any other quick ways of cleaning the keyboard? Share with us in the comments.